South Tyrol is a wine region appreciated all over Europe. There are many restaurants, cafes, bars and hotels, which serve excellent regional wines – and of course, the temperature is perfect. The gastronomy, but also many private people use a wine cabinet with 2-3 zones. This brings wines, sparkling wine and champagne to the desired temperature and keeps it continuously at the same level. For this purpose, wine cabinet is the generic term for a product group, which once again divides itself into two parts: the one temperature wine cabinet and the multiple climate wine cabinet. 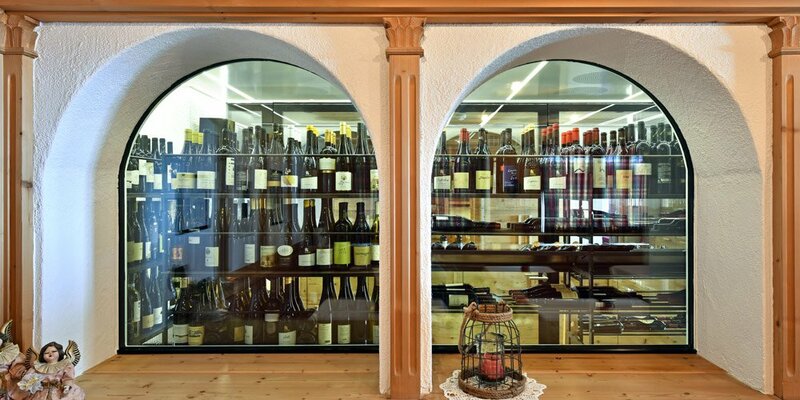 Due to our great experience in the assembly of refrigerated wine storage cabinets, we are also active beyond the borders of the country and are building such devices in neighboring Austria, Germany and Switzerland, for example in the Family Hotel Sonnwies in Lüsen, the Hotel Girlanerhof in Kaltern, in the Hotel Severin in Sylt Or at La Bottega in Geneva. 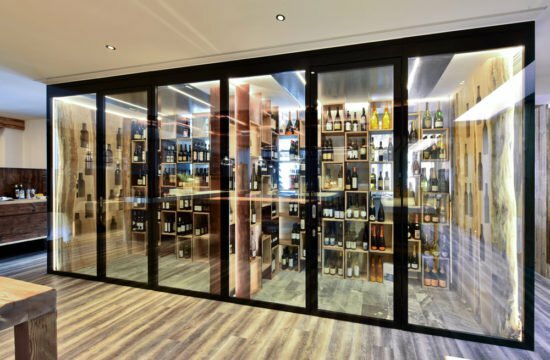 A wine cabinet with 2-3 zones has a whole range of advantages: its temperature can be individually adjusted and remains constant with only very small fluctuations. The natural aging process of the wine can be influenced or delayed if desired. In this way, the value of excellent wines is protected, while ensuring that the selected temperature exactly meets the requirements of the stored wine. Wine cabinets are also able to guarantee a constant humidity as well as the temperature. 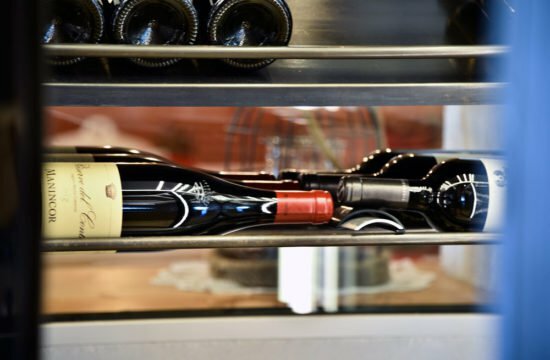 To avoid cracks in the cork and ultimately spoil the wine, our refrigerated wine storage ensures a constant humidity of at least 40 to 50 percent. 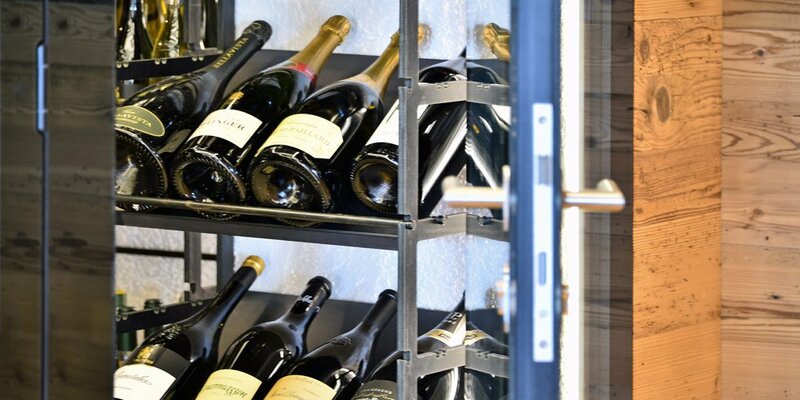 Because of its special construction, a wine cabinet with 2-3 zones protects the stored wine from quality-degrading light effects, especially those caused by UV light. On request, we can provide these wine storage facilities with an insulating device, so that possible vibrations in the environment can be cushioned and the wine can unfold its biochemically produced aromas in absolute resting position. 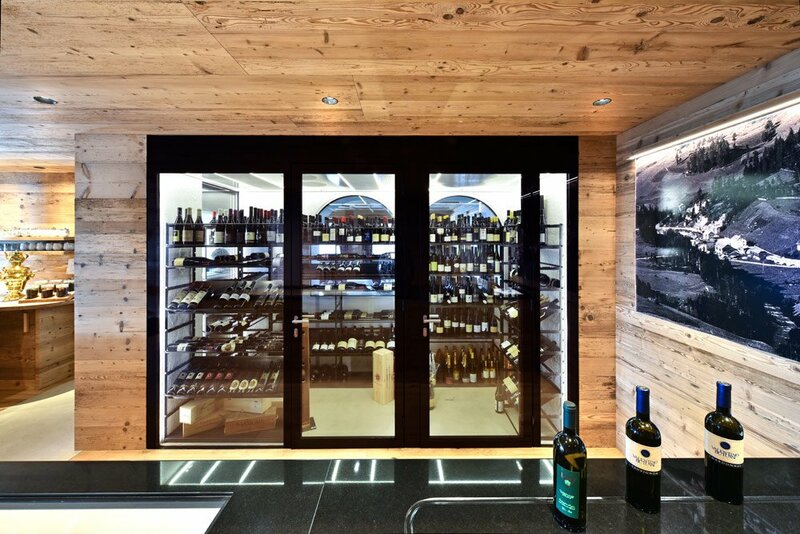 You have the choice one temperature or multiple climate wine cabinet? 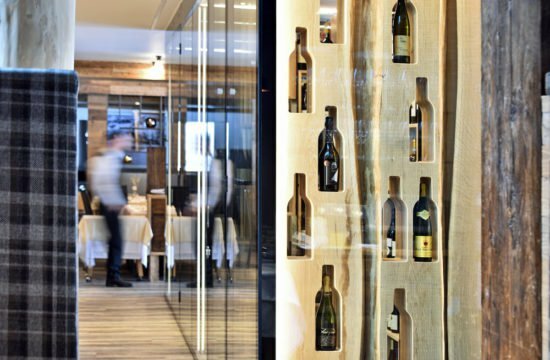 What is the difference between a one temperature and a multiple climate wine cabinet? 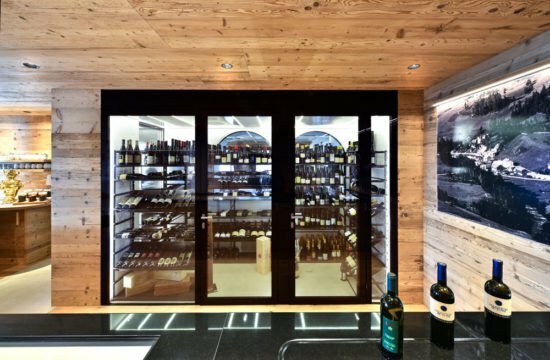 In their possibilities: Unlike a one temperature wine cabinet, which has only one cooling zone, a multiple climate wine cabinet has 2-3 zones, which can be adjusted according to need. So if you want to store different wines with specific requirements, we recommend the use of such a wine cellar with 2-3 zones. And if you want to store only one wine or those with identical claims, a one temperature wine cabinet is sufficient. The capacity and the quality of your wine store are therefore a decisive factor.  We would be glad to give you detailed information on this point. 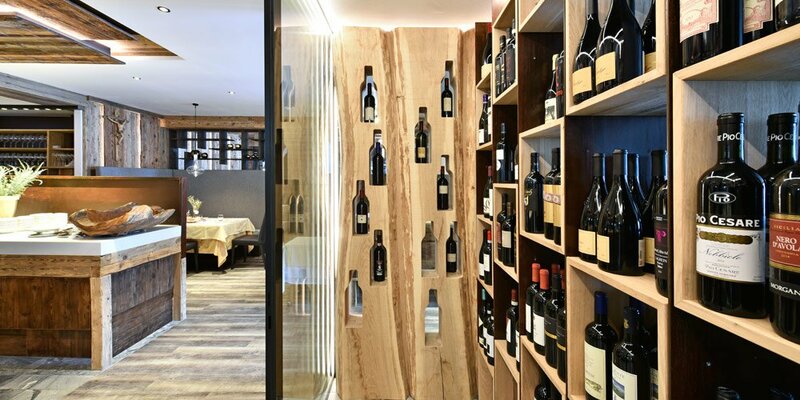 The wine cabinets installed by us are all tailor-made works and thus exactly adapted to your spatial situation as well as to the individual processes of your company. Planning and technical related- whether one, two or three cooling zones – all is in one hand with us. We take over the complete realization of your new refrigerated wine store. 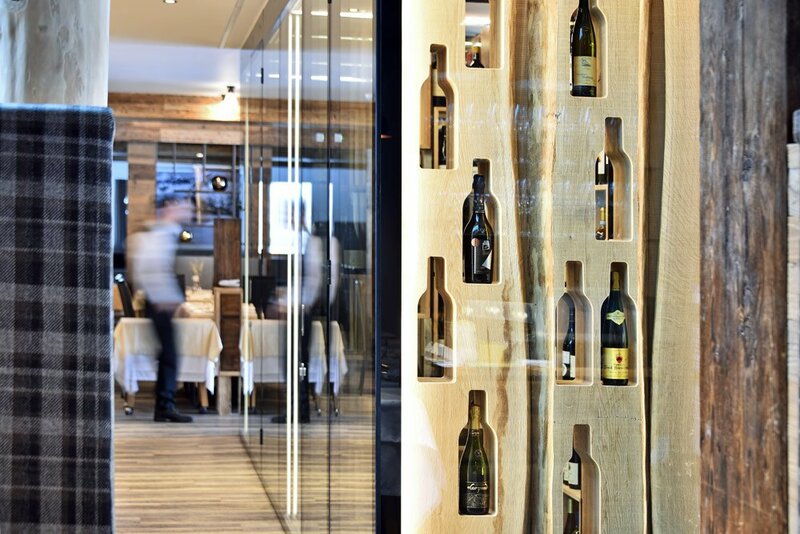 Do you want a real eye-catcher in the restaurant area, a frameless door with a magnetic seal, a wine cabinet, which can be lowered into the ground and can be raised at the push of a button? No problem – from us you can get what you want, no standard product. 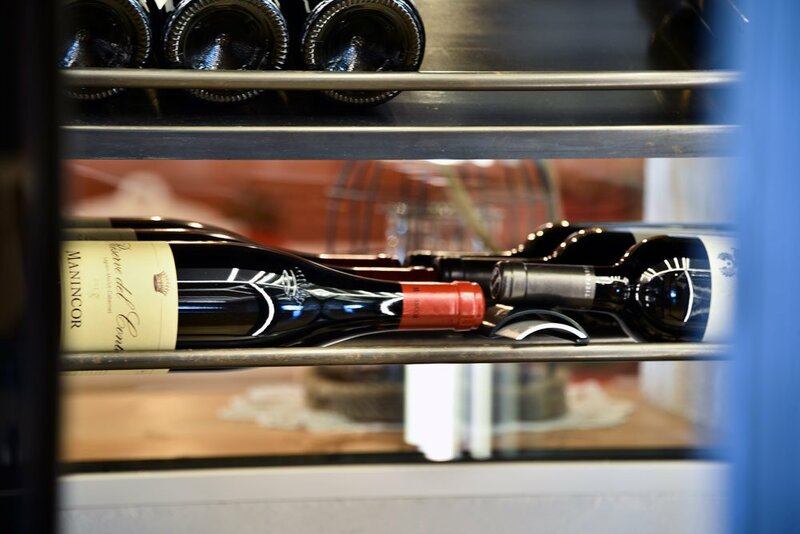 After all, every Haitec wine cabinet is a one-of-a-kind product!